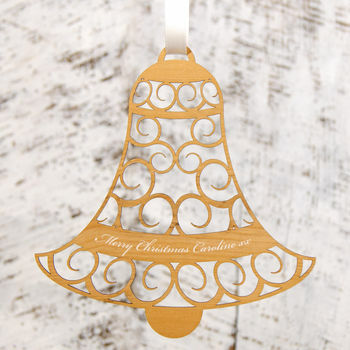 This personalised laser cut Christmas decoration features a distinctive bell design that will give your home a special twist this holiday season. 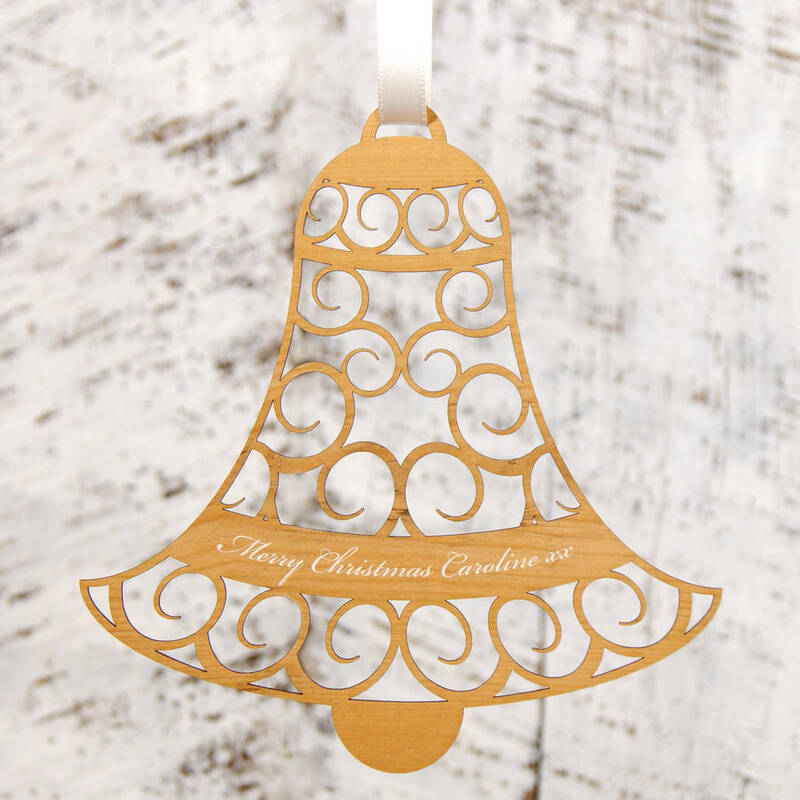 These decorations are the perfect size to hang from your Christmas tree, a mantelpiece, bookshelf or door handle using the complimentary double satin ribbon. They can also be personalised with a special message of up to 35 characters, making them a perfect unique Christmas gift for every member of the family. 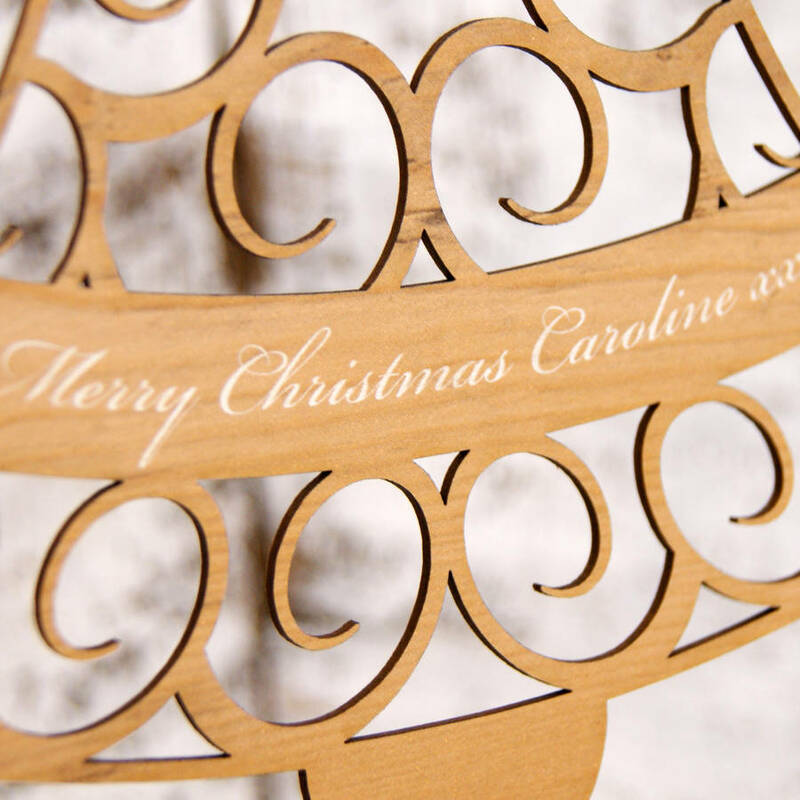 The personalised message is delicately engraved in the wood effect finish in an elegant cursive font. 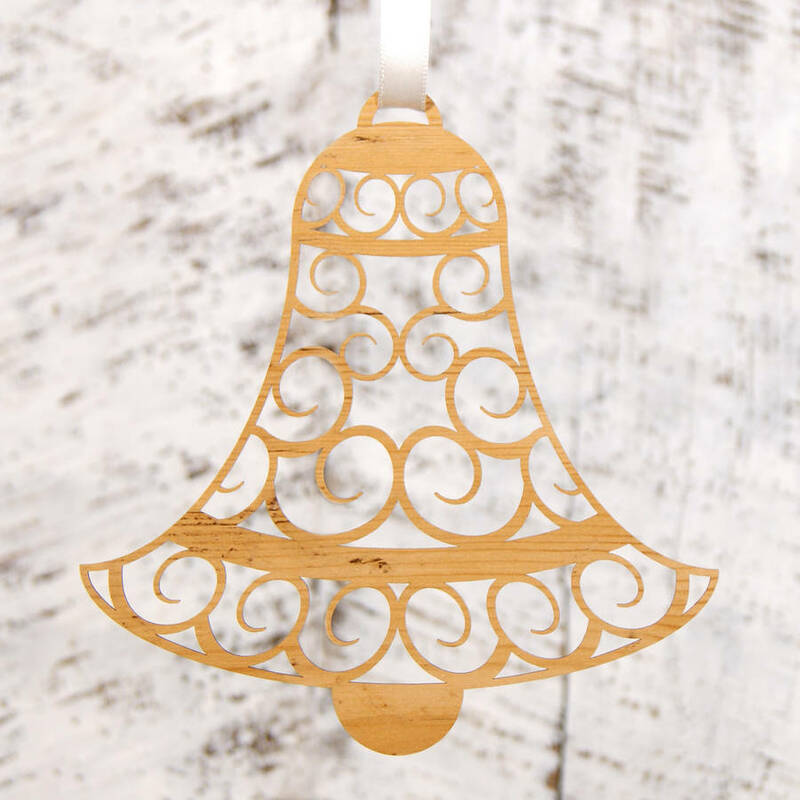 Urban Twist has a wide range of Christmas decoration designs available, some of which have further personalisation options. 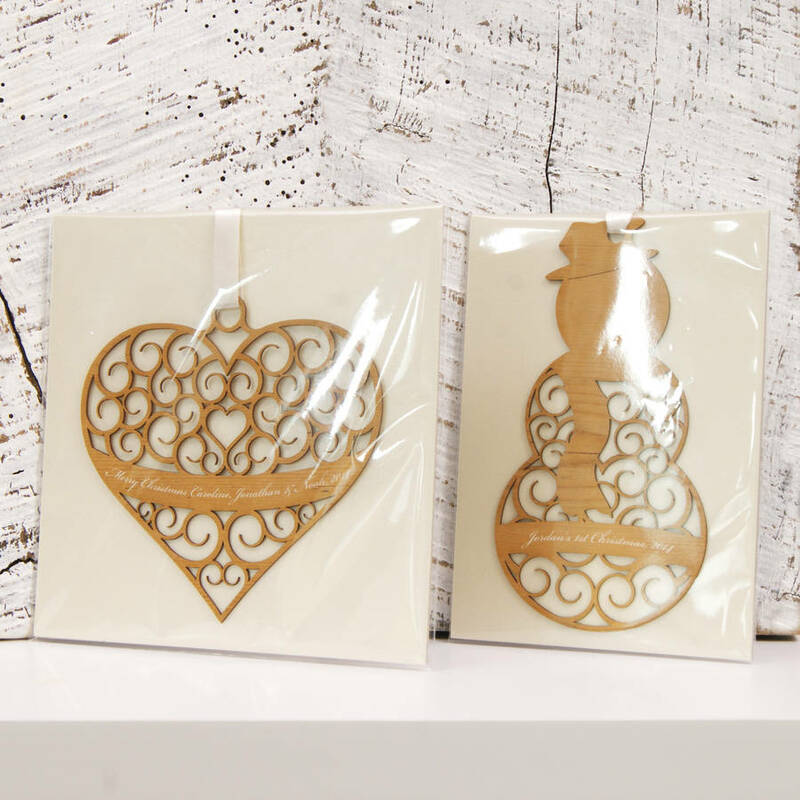 We also have a range of smaller decorations in similar shapes. Please see our related products. Part of a company interested in placing a large order? To discuss your corporate gift needs, enquire about product personalisation and place your order please contact our corporate gift service team on 0344 745 9626. 2 mm thick triplexed wood grain effect card stock. This material has all the feel, look and character of natural wood whilst being more durable and lighter.